New RXO Watch 2019new + Software RXO 2019 With Internal chip RXO! The latest version, easier to use. 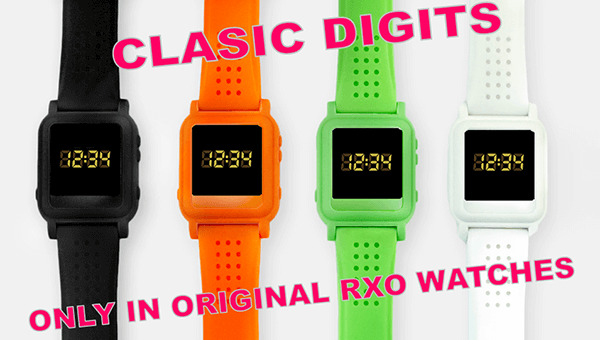 The smarters end up buying their RXO watch here, ¡do not be fooled! (NON SHINY) with emergency button + Anti-spy protection. Adjustable advancement, manual or automatic. With RXO 2019 software to transfer PDF, WORD, TXT ... and it shows time in classic digits. 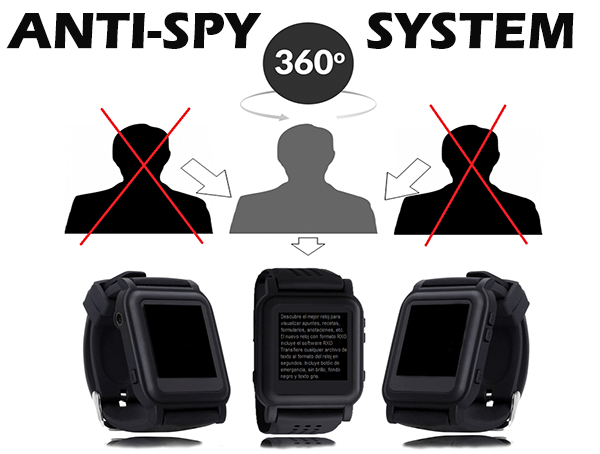 Why is better than chinesse spy watch? -Transfer Pdf and Word files. -You can edit font types and size. -You can see the clock in classic digits. -You can clasify using all folders you need. -Anybody can see the texts, only you. -You can choose automatic or manual scroll easily.....and more. 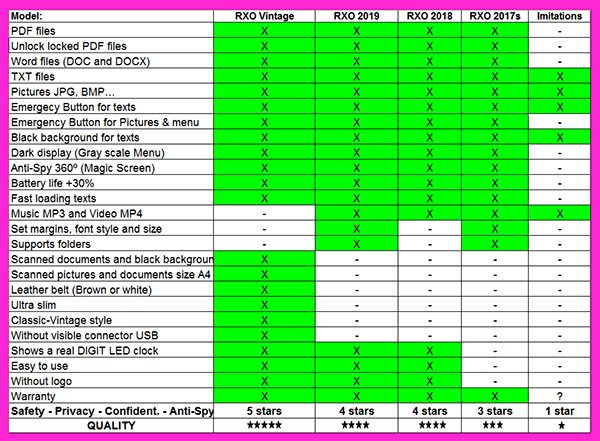 RXO 2019, the improved version of the old RXO 2017s and 2018. Displays text with the utmost discretion and security. - Easier to use, more memory, faster and more discrete! - Images in color or grayscale "you decide how to transfer". - Regulates the darkness of the text in the watch itself. - Super-fast Emergency Button. Activate it not only from the text, even from the menu or any folder. - Pressing the super-fast emergency button lock buttons and displays the time (in classic leds). - Manual and automatic advance. - Regulate the automatic feed speed from 5 to 120s "for slower copying". - Displays all kinds of symbols and scientific formulas (symbols software included). - There are imitations with an identical design, but aren’t related with this product. - Only original RXO watch display WORD and PDF, including protected PDF. - Only original RXO watch incorporate 360º Anti-spy technology. No one around you can see the contents of your watch, only you right above it. 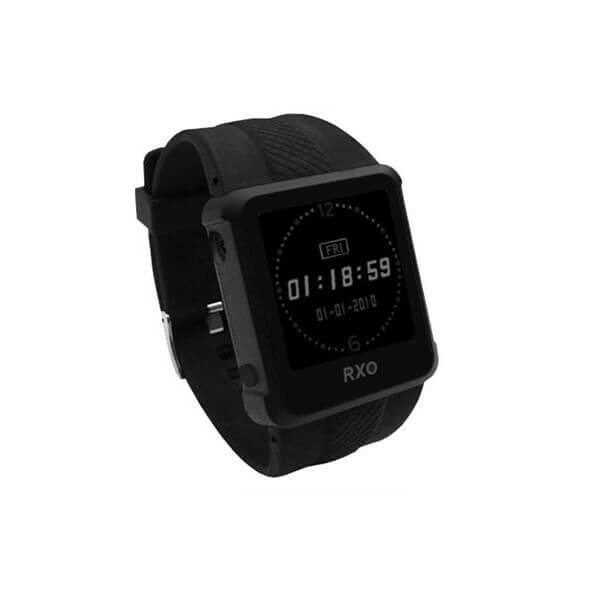 - Only original RXO watch include RXO software for transferring documents. - Thinner and more memory than its predecessor (8GB internal memory), "Do not forget anything"
- More Battery Life (+ 30%), "Do not get stuck right in the middle"
- Screen over 16000 pixel resolution. - Displays all kind of alphabet. - MP3 and MP4 player. - Colors: BLACK, WHITE, ORANGE and GREEN. How can I tell a fake one from the RXO 2018 watch? - The watch also features a RXO holographic sticker on the box. - This RXO 2019 model shows a welcome start screen with the RXO 2019 logo. 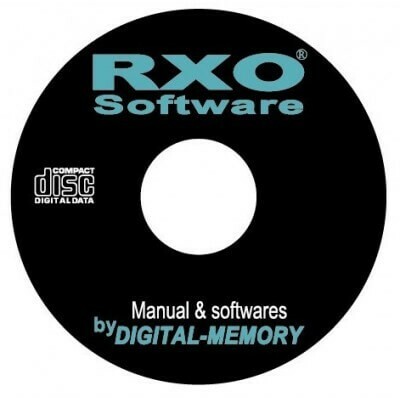 - Software Manual RXO 2019 in Spanish and English. - Mini CD-ROM with RXO 2019 software. - USB cable for data transfer and charging.